Ah, the good old days of computing, when everyone had a big box under their desk and you knew that their screen would be 800×600 or, if they were really on the cutting edge, your website visitor would have a higher resolution XVGA screen at 1024 x 768. Now, we’re talking about mobile search optimization for literally thousands of devices. Even back in the early days, web publishers faced the challenge of dealing with a diverse user technology base, but we just didn’t realize it at the time. VGA vx XVGA vs UXGA forced page designers to make some tough choices about layout and browbeat a generation of online advertisers into specific ad banner and ad medallion sizes. Now, mobile search optimization has taken that complexity to a whole other level. 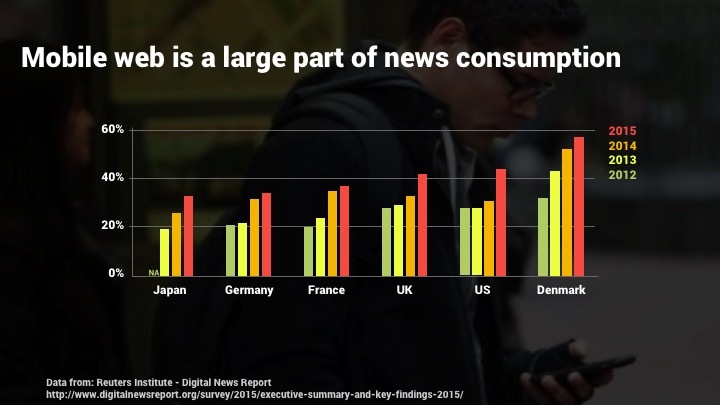 What Web developers and publishers weren’t paying attention to during this period was the fact that while desktop connectivity was speeding up at a remarkable pace, the rise of mobile devices meant that more and more users were also using slow devices too. Smartphones might be called ‘smart’ but most of them are less than geniuses when it comes to processor capabilities (blame ever-smaller processors). Over-the-air connectivity is also generally slow too, and while 4G and LTE might be acronyms that pop up on your Android or iPhone screen, it too often seems like you’re not getting anywhere near the promised speed. The stats are clear: more and more people are opting for tablets or smartphones when they’re searching, shopping and reading information online. Google reports that over 50% of its queries now come from non-desktop devices, and with the rise of tablets with clip-on keyboards like the popular Microsoft Surface Pro and the Apple iPad Pro, more people are going to be opting for lighter, fully functional devices rather than those oh-so-2000’s laptop computers. At first, the word on the street was that if your web page laid out properly on mobile devices, you were set. 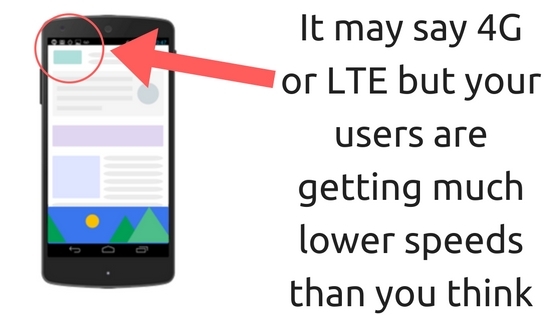 That was the basis of mobile search optimization… have a site that could be viewed on mobile. That started out with the cumbersome WML markup language, then mobile browsers gained sophistication and websites could be rendered properly on the smaller screen. Except it was up to the user to pan around and learn the pinch-to-zoom gesture to make the tiny dots grow into readable prose. Bigger, higher resolution screens have helped, but the onus remains on the developer to figure out how to support dozens — or hundreds — of different resolutions simultaneously. Break down a screen into zones, however, and you can simply map out what happens to the blocks of data onscreen based on clustering a set of resolutions into a single ideal resolution. 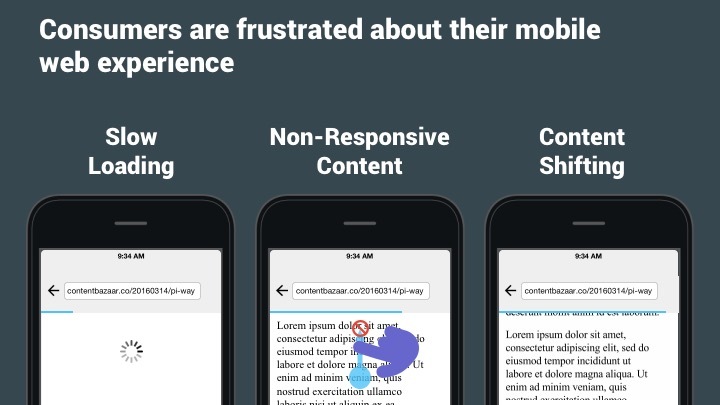 That’s what happens behind the scenes with so-called Responsive Design, and while that’s important, it still only addresses one dimension of the mobile challenge. What does the future of mobile hold? A website that’s prepared for the future of mobile search optimization has a lot to think about. 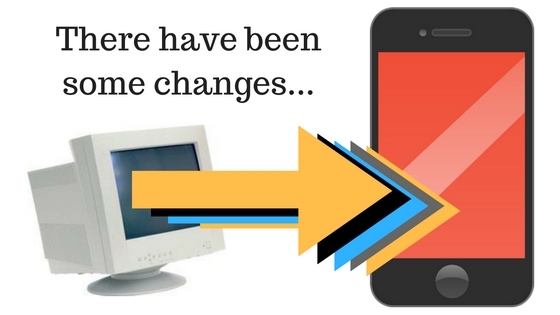 Including mobile device changes, the Internet of Things, for the rise of Accelerated Mobile Pages (AMP) and the ever increasing diversity of resolutions and connection speeds, it’s critical that all publishers, site owners, and designers start planning for the future. From smart watches and secret augmented reality displays to the latest generation of convertible tablet/laptop systems, developers have never had to consider such a wide range of capabilities and constraints before, and it can be incredibly frustrating. Coming next, however, is the Internet of Things. What do you need to do so your site’s ready to be a possible answer when your potential customer asks their Amazon Echo, Google Home or even Apple Watch about your product or service? There’s no display at all: how do you design pages to be no-display friendly? How do you monetize these queries? What role will search technology play in all of this? Finally, let’s just recognize that however much it’s garnering criticism in the developer community, Google’s support of Accelerated Mobile Pages means that it’s already a big deal and going to get bigger. 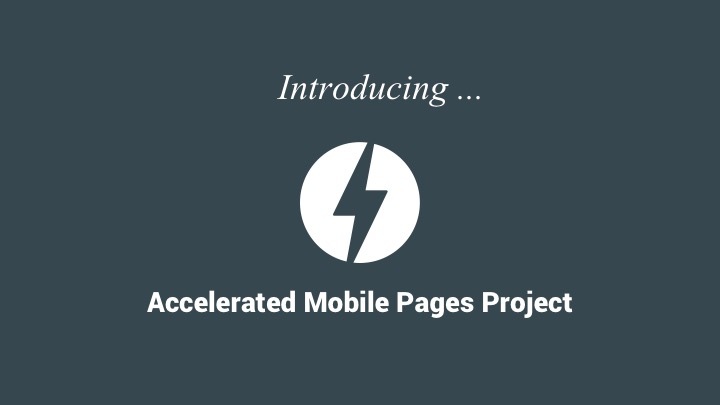 Is your site truly AMP ready and prepared for a future where Google-powered devices prioritize AMP pages over all others for mobile search? There’s a lot to consider, far more than what is addressed with responsive design alone. Are you ready for this tidal wave of mobile and completely unimagined devices in the next few years? This is what you need to consider for mobile search optimization on your site in 2017. Dave Taylor has been involved with the Internet since it was known as the ARPAnet and has had to redesign his sites many, many times to keep up with the most modern technologies. You can check out his mobile-friendly http://www.AskDaveTaylor.com/ site or find him on social media as @DaveTaylor.